Rooms are equipped with 2 plugs for the network connection. It is possible for three-bed rooms to collect a mini switch from the Manager of the hall of residence. This mini switch will be connected according to an instruction manual to solve the connection for more users while only 2 plugs are installed. Here is the network of Ethernet type with 100Mbit/s (depends on a speed of a used adapter) with twisted pair distribution and RJ-45 connectors. The network supports only the TCP/IP protocol. The DHCP protocol is used for IP addresses allocation and services setting. Other protocols IPX/SPX, NetBEUI are used only in virtual networks that separate operation in a line layer. Their usage is undesirable. The Internet connection outside the ITC network is possible only through the proxy server proxy.vscht.cz on the 3128 por. For the time being it is impossible to use computers registered in the Dejvice network and the other way round. You will be duly informed on this kind of service when it is in operation. You can apply the same kind of rules and operation as in case of the Dejvice n etwork of ICT. More information on http://vc.vscht.cz. It is necessary to know a MAC address of your Ethernet adapter in your computer for passing the application. It is a worldwide unique 12-character hexadecimal number. It is usually written on the adapter. If the adapter was mounted in your PC and drivers and the TCP/IP protocol were installed correctly, you could use instruction winipcfg (for OS Win9x/Me) or ipconfig /all (for OS Win NT4,Win2000, WinXP) to display this number, it is an adapter address item. It is necessary to collect a connecting patch cable 3m or 7m long from the Housekeeper of the hall of residence. It is not allowed to use own cables. If the user when checking out would not give back the cable or give it back damaged, AUF will be eligible to ask for payment of the cable purchase cost. AUF and the Computer Centre provide no support in the Ethernet adapter configuration and in the installation of operation systems. Each user is obliged to activate the university license of the program Symantec AntiVirus for each installation of OS Win for the network connection (download at ftp://ftp.vscht.cz/pub/antivir). The user is obliged to conform to “The rules for computers and computer network usage at ICT Prague” and is fully responsible for an operation of his computer with a MAC address entered by him. The form will appear after entering the user name and the password. Fill the MAC address, the room, the hall of residence, the plug and the contact (according to the Help – on the right). 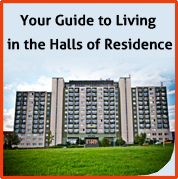 Students of other universities use the application form which is available by the Manager of the hall of residence.